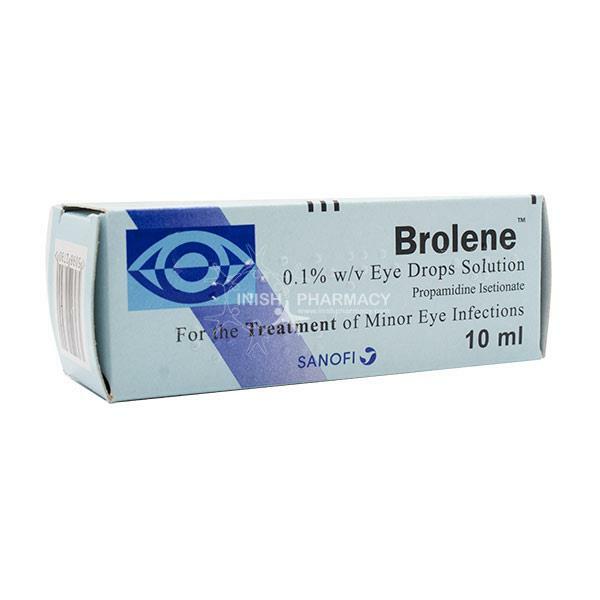 Brolene Eye Drops are used for minor infections of the eye or eyelid. Signs include sore, red or inflamed eyes, stickiness or a crust on the eyelids. The solution contains 0.1%w/v of the active substance, propamidine isethionate. This product is for use in adults, children 2 years and over. One or two drops in the affected eye up to four times a day. Use for at least two days. The solution contains 0.1%w/v of the active substance, propamidine isethionate. Brolene works by stopping the growth of bacteria, allowing your body to fight off the infection. If you are pregnant or breastfeeding please speak to your doctor before using this medication. Like all medicines, this can cause side effects, although not everybody gets them. If you experience any serious side effects please consult your doctor.